“As business owners and executives, we support gradually raising the federal minimum wage to at least $12 by 2020. It’s good for business, customers and our economy. Today’s outdated minimum wage has far less buying power than it had in the 1960s. Stuck since 2009 at $7.25 an hour – just $15,080 a year – the minimum wage impoverishes working families and weakens the consumer spending at the heart of our economy. “Raising the hourly minimum wage to $15 in New York State – as Governor Andrew M. Cuomo is proposing – provides vitally important benefits to the state’s economy, ensuring opportunity for millions of New Yorkers and creating jobs. “In the year 2015, a job has got to lift workers out of poverty, not keep them in it. The $7.25 an hour federal minimum wage is a starvation wage. It has got to be increased to a living wage! That means raising the minimum wage to at least $15 an hour! That means closing the loophole that allows employers to pay tipped workers a shamefully low $2.13 an hour! And that means demanding that Senate contractors and federal contractors pay all of their workers a living wage with affordable healthcare, decent benefits and the right to collectively bargain! And that’s exactly why we are here today. “Some policymakers are proposing to raise the minimum wage, but that policy would be harmful. Research shows businesses would respond to the increased costs by reducing employment, particularly for low-skilled workers. Some businesses may pass the higher costs on to consumers. Despite the hope of proponents, the minimum wage does little, if anything, to decrease poverty. In a bizarre twist, raising the minimum wage hurts the very people it aims to help. As detailed in a forthcoming paper to be published by the Mercatus Center, national employment data from 1975 through 2012 show that on average, a 10 percent increase in the minimum wage has been followed by no change in employment among college-educated workers, a half-percentage point increase in unemployment for those with high school diplomas, and a one percentage point increase in unemployment for those without high school diplomas. Young people who have yet to finish high school are hit hardest of all. They have to contend with a two percentage point increase in unemployment, and as a result many are unable to find summer employment – employment that would help them acquire the skills to find better work in the future. “Facts clearly demonstrate that raising the minimum wage is a bad idea. 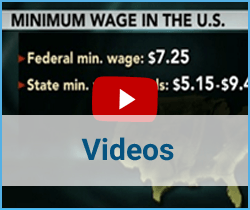 ProCon.org, "Should the Federal Minimum Wage Be Increased? 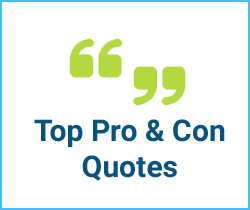 – Pro & Con Quotes," ProCon.org. 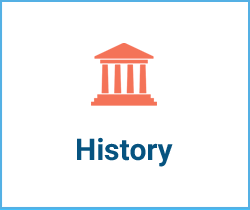 last modified March 22, 2016. https://minimum-wage.procon.org/should-the-federal-minimum-wage-be-increased-pro-con-quotes/.